Heat the clarified butter in a non-stick frying pan. Add the potatoes, cover and cook over a medium heat for approx. 14 mins. until soft, turning occasionally. Add the clarified butter and cervelat sausages to the potatoes, remove the lid and fry for approx. 7 mins. until golden brown, turning occasionally. 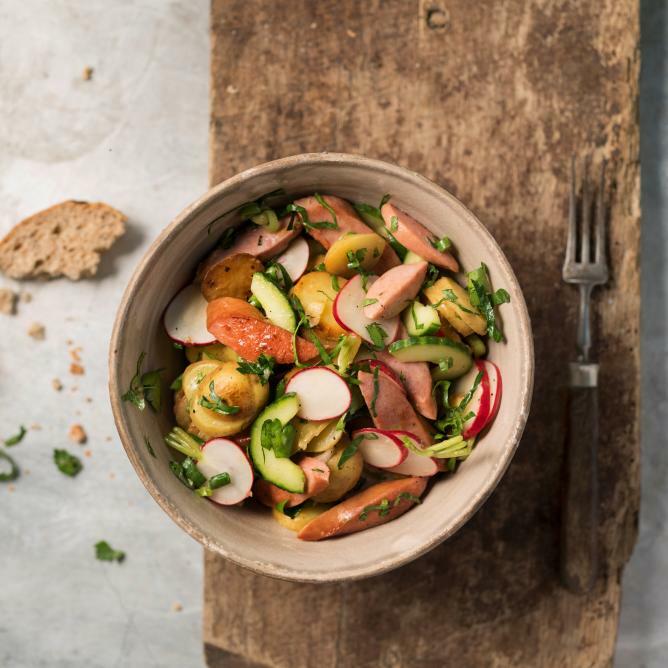 Mix together the balsamic, mustard, salt and pepper, add to the potatoes along with the cucumber, spring onions, radish and parsley, mix well.